When you have several gear items of the same type, you can fuse them into new gear with enhanced stats. An item's fusion percentage represents its quality. 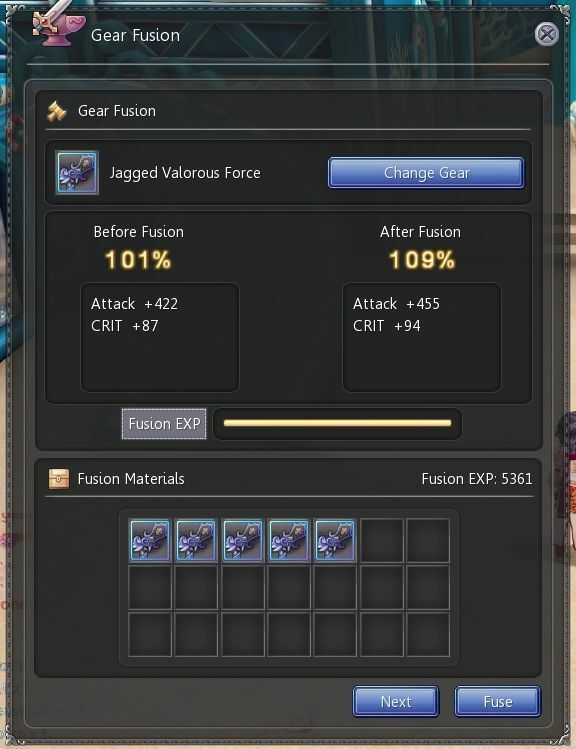 Open the gear fusion menu (in the backpack UI or pop up). Select the gear you wish to fuse. You must have more than one of the desired item in your inventory. You will most likely stumble across gear evolution scrolls over the course of your adventure. You can use them to evolve your gear. Each evolution tier and star level grants your gear bonus stats. 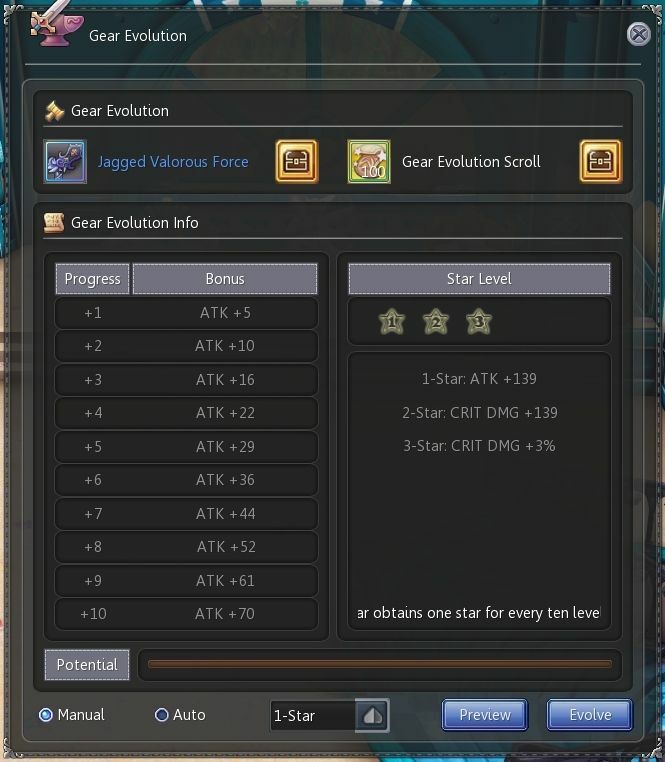 Open the gear evolution menu in your backpack interface (B), or right-click on a gear evolution scroll. Put the gear into the evolution slot. 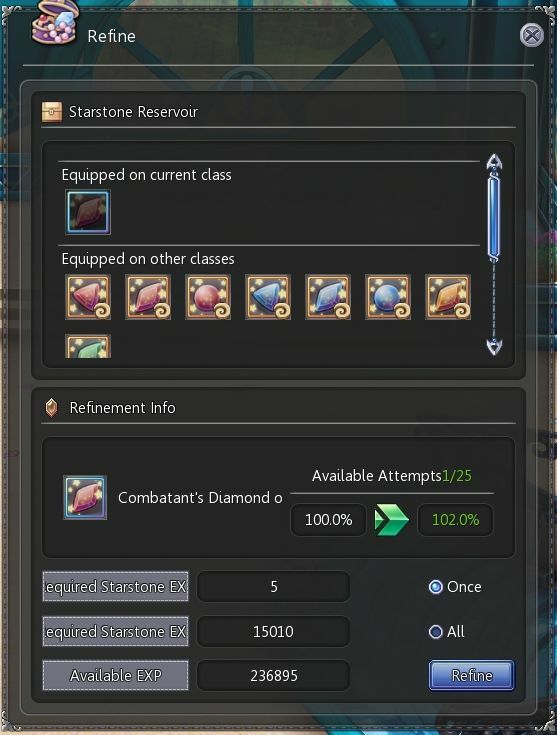 You will also find Starstone evolution crystals on your adventure. You can use them to evolve your Starstones. Each star level you reach grants your Starstone bonus stats. Open your Starstone interface (P). Click on the "Evolve" button. 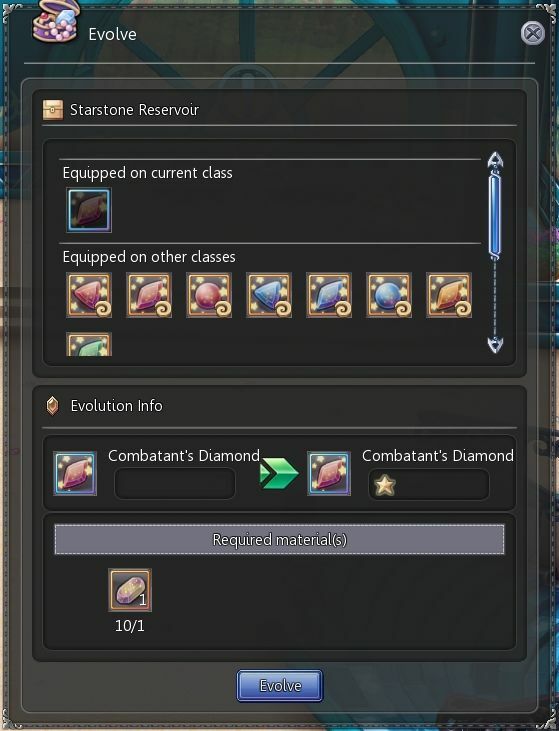 Select the Starstone to be evolved. Is your inventory overflowing with unused or obsolete Starstones? Just open your Starstone interface and click recycle to gain Starstone EXP. Use this EXP to refine your other Starstones and enhance their stats. This is just one of many ways to gain Starstone EXP. Open your Starstone interface (P). Click on the "Refine" button. Select the Starstone to be refined.